1. Choice a focal point on your layout and then create embellishments that will continue to tell the store of that point. 2. To give your layout an edgy look adds metal embellishments and staples to the layout. 3. 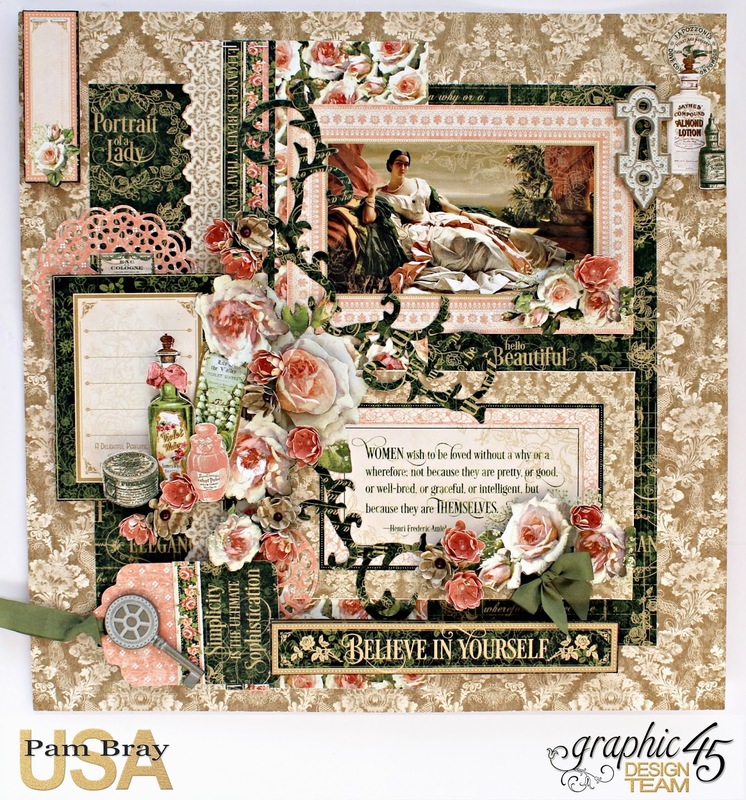 Small paper doilies and flourishes give layout a vintage look. Disclaimer Notice: I’ve received products/compensation as part of the Graphic 45 Design Team. This project however, is 100% my own project! Some of the links in this post are affiliate links. I explain more here.